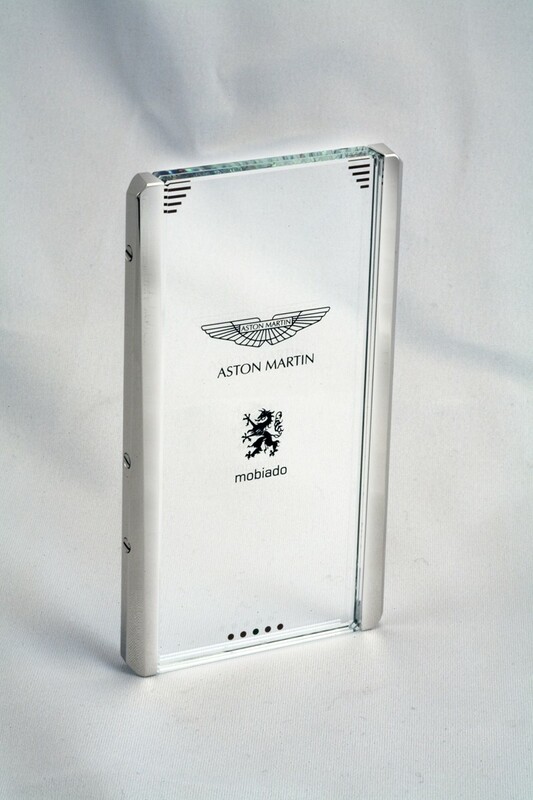 British car maker Aston Martin is looking to leverage its luxury brand into the world of consumer electronics by teaming up with Canadian mobile phone manufacturer Mobiado to produce a line of high-end handsets to be launched in May of this year. 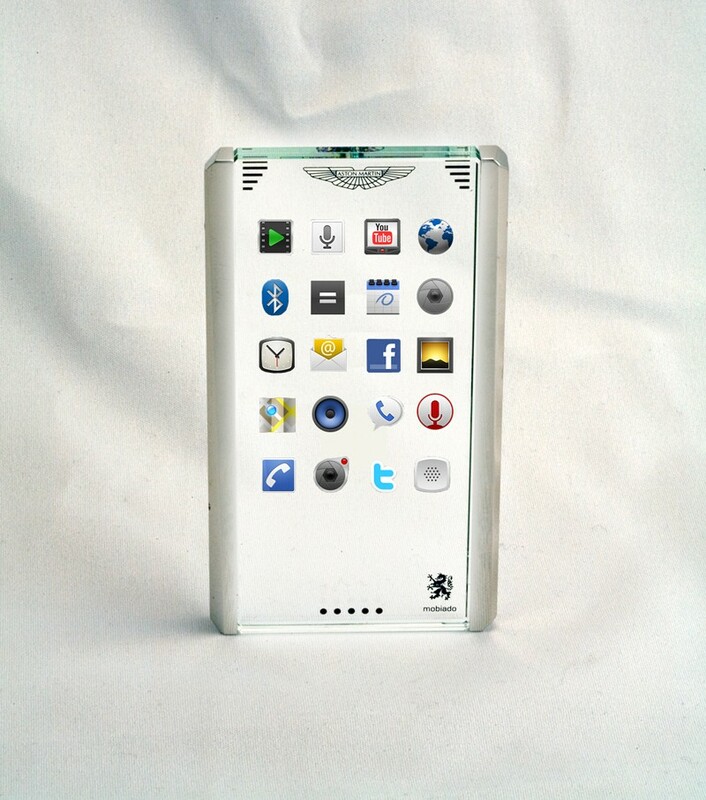 Until then, the company has provided a tantalizing peek at possible future designs with the CPT002 Aston Martin Concept Phone that takes the ‘slab of glass’ design of many current smartphones to the next level. With a solid sapphire crystal capacitive touchscreen, the CPT002 is completely transparent. To allow the screen of the CPT002 to be transparent, Mobiado has incorporated the battery, electronics and SIM card into the sides of the device, which are crafted from platinum. The only things blocking the view when looking through the phone when it’s in standby are the Aston Martin and Mobiado logos, what appear to be battery and signal strength indicators along the top and a series of dots along the bottom that appear similar to the dots on the iPhone that let you know which screen you’re on – although it’s not ‘clear’ whether that’s actually what they are. A transparent touchscreen has already popped up on LG’s GD900 mobile phone, but only in the form of a touchpad that displays the phone’s number pad. Unfortunately, we’re going to have to wait a bit longer for a phone with a transparent full touchscreen display with Mobiado’s upcoming range not sporting a phone with such a design. However, other features of the CPT002 Concept Phone that are designed to integrate with an Aston Martin vehicle are more of a possibility.